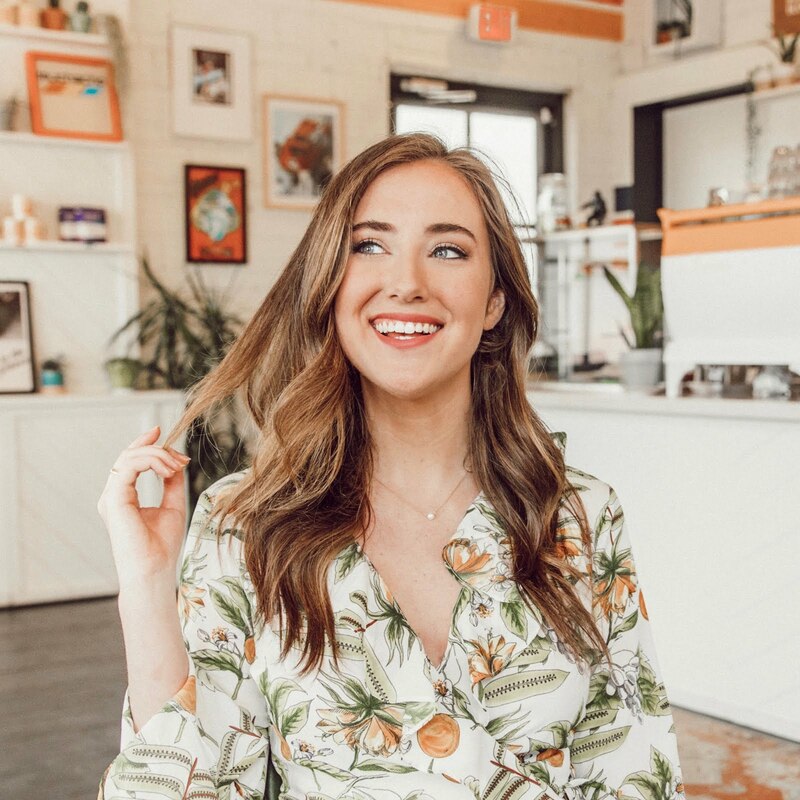 This summer was incredible and the reason was in-part due to all the delicious restaurants I tried out. While there were a couple of sub-par spots I came across, the majority were fantastic and I just had to write this post to rave about them. 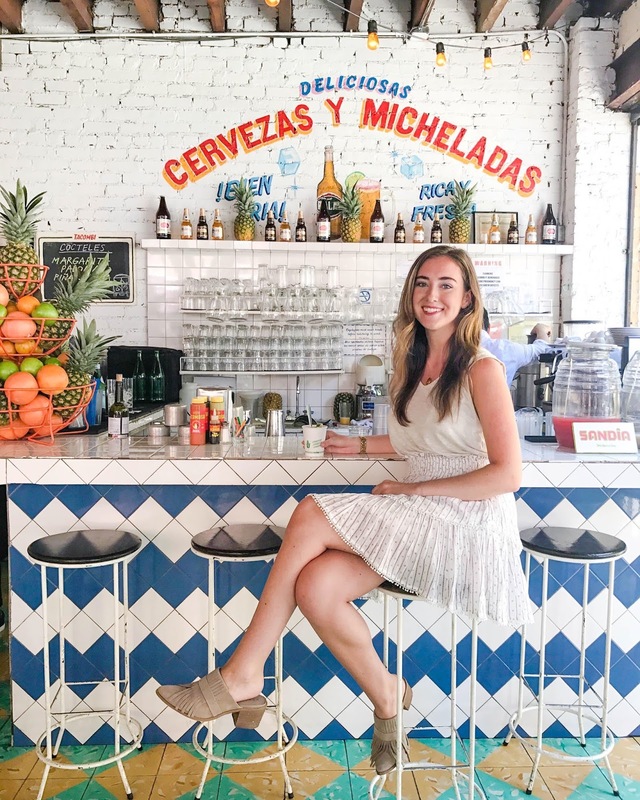 In no particular order, here are some of my favorite NYC restaurants from this summer including everything from brunch to dinner. I hate salads but I love eating healthy food. It can be hard for me to find restaurants that suit that desire but Chalk Point Kitchen makes it so easy! This little spot is in the trendy area of SoHo but has the cutest little farm/grandma's kitchen vibes. 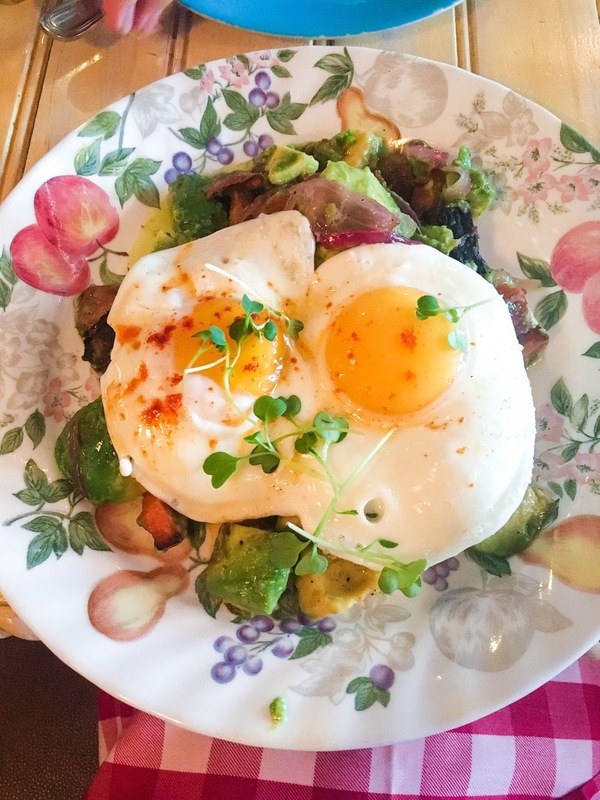 The entire menu is full of healthy brunch entrees and only several of them are salads! 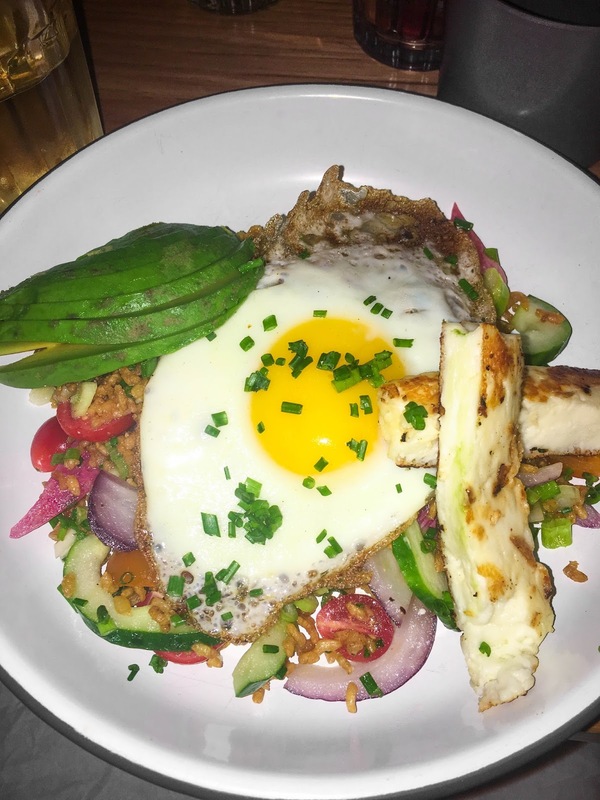 The "Avocado & Sweet Potato Hash" (pictured) caught my eye and it didn't disappoint at all. 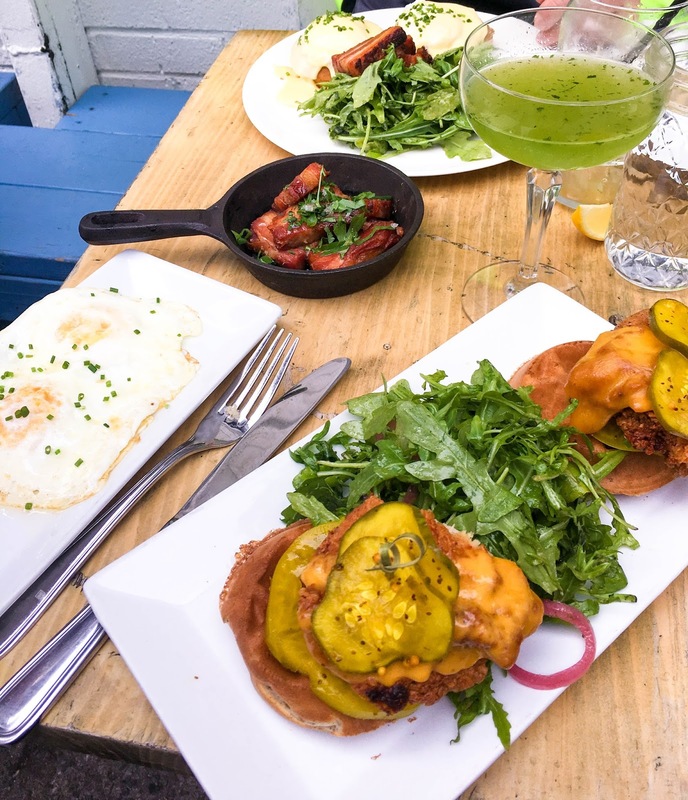 This restaurant is so insanely delicious that I tried it for both brunch and dinner this summer! 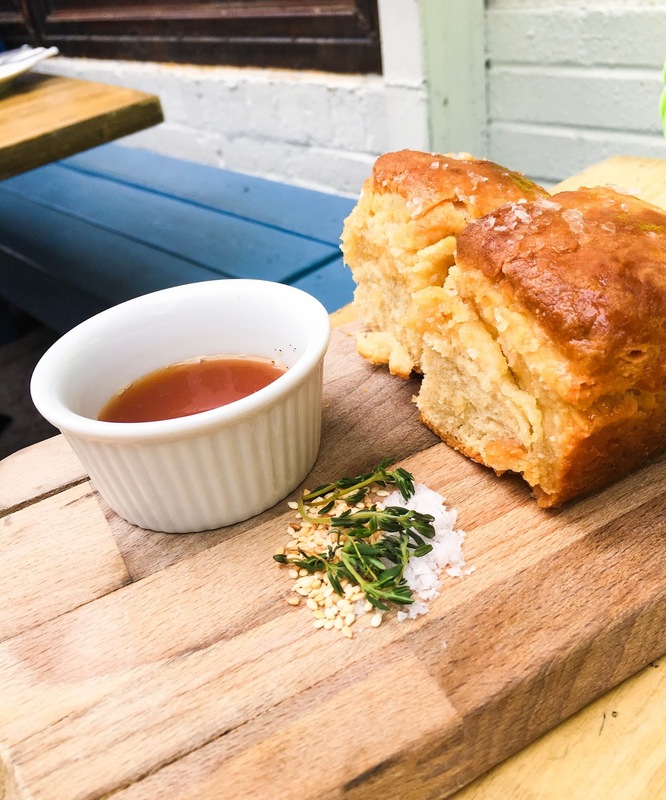 Located in Nolita (and with a second location in midtown), this seafood restaurant has so many tasty looking options I want to try out that I know I will be coming back often. 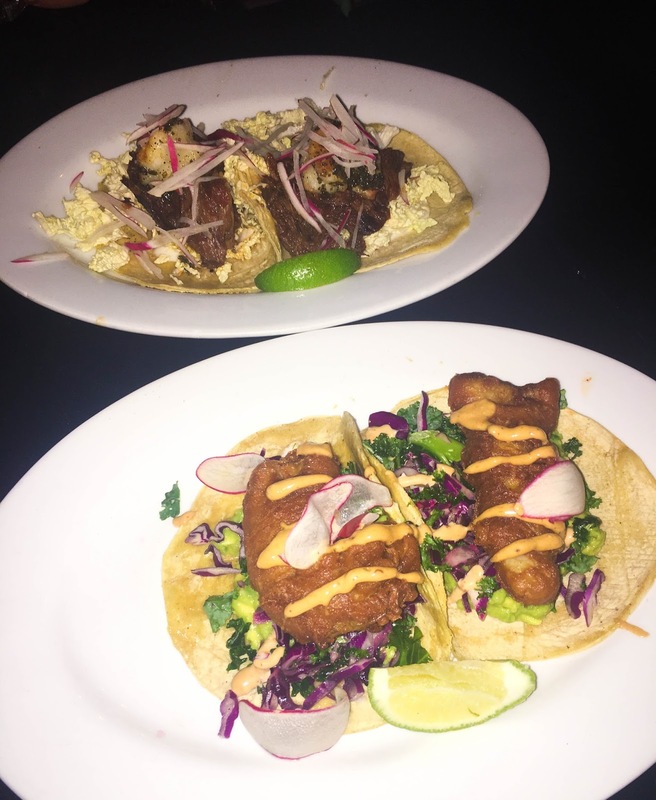 For brunch I had the "Fish Cake Bennies" and for dinner I had the "Crispy Fish Tacos." Both were absolutely incredible. Avocaderia was a place I discovered through one of those viral Facebook food videos. 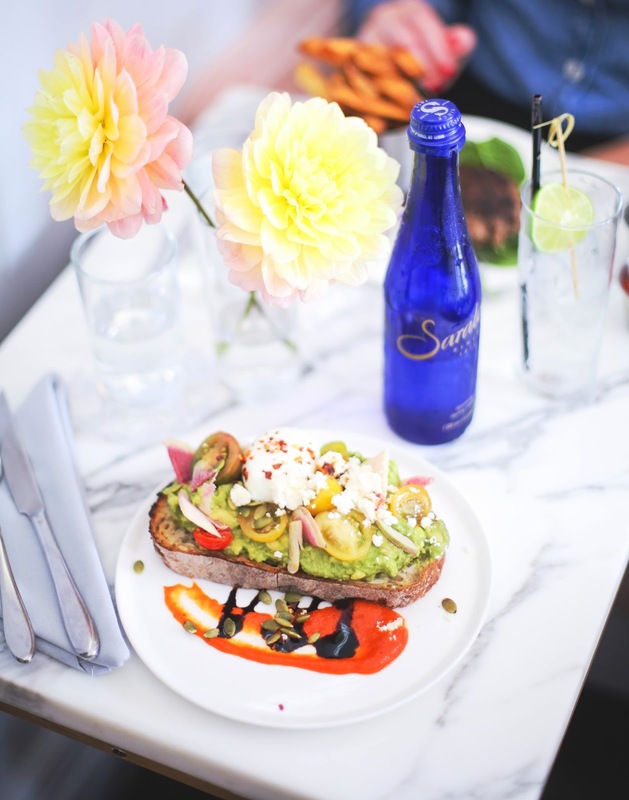 It is the ultimate stereotypical millennial spot: filled with everything avocado and extremely photogenic. It wasn't a typical restaurant like I was expecting. It was actual in a food market and you essentially ordered/paid at the counter and sat in the common dining area. Since you can pretty much get regular avocado toast at any restaurant in NYC these days, I recommend opting for one of their more exotic avocado dishes. 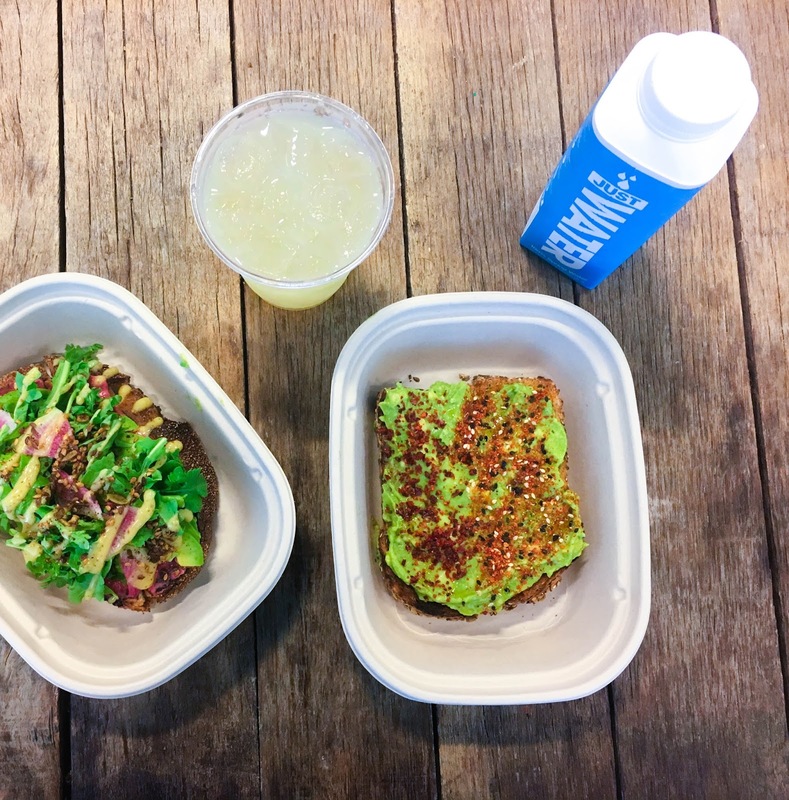 I had the "Let It Beet" toast (pictured on the left) and really want to go back to try the "Avoburger"! Oh, the only downside is that this restaurant is located in a super random part of Brooklyn and not that convenient to get to. So unfortunately I didn't snap any photos of my food when I went to Tacombi, but I'm including this pic I took for Instagram to show you how freaking cute the ambience is! There are several locations all over the city but I went to the one in the West Village. I love how the restaurant is open-air and each taco is sold separately so you can try out a variety. I don't remember everything I got but I definitely got a "Crispy Fish Taco" and the "Corn Esquites" starter dish and both were amazing. Ruby's is a super trendy, open-air restaurant that I passed all the time to get to work in Nolita. I would always see all the delicious food and finally made a visit towards the end of the summer for dinner. Ruby's is another restaurant that serves so many healthy options that aren't just salad! I chose to have the "Crispy Grain Bowl" and it was delicious. The downside was that it wasn't super substantial so I would recommend getting a side or starter to go with it. TBH Delicatessen is a restaurant I've been to several times before in the past, but I went at the beginning of the summer for dinner so I definitely wanted to include it in this list. 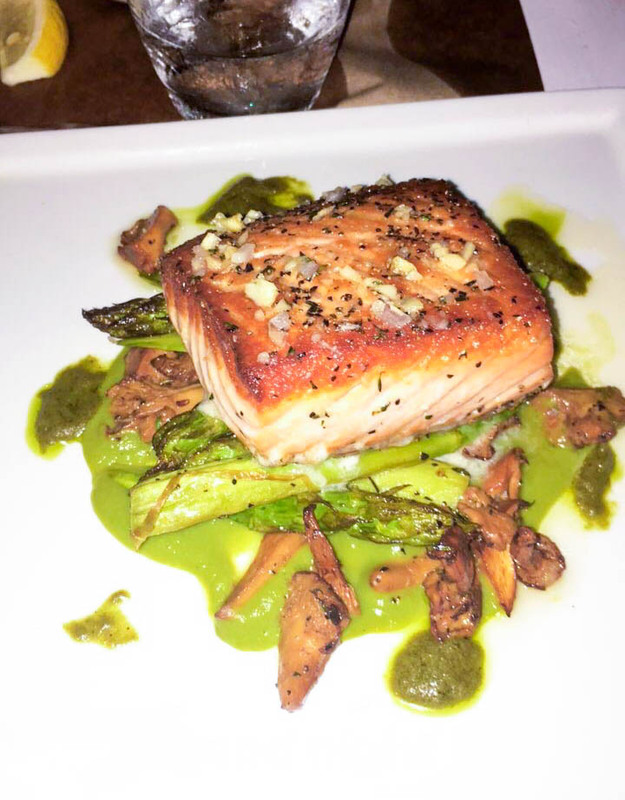 The "Pan Roasted Norwegian Aurora Salmon" dish was absolutely incredible and the chic and lounge-esque ambience makes the experience even more memorable. This restaurant is also located in Nolita –clearly Nolita is a great place in general for restaurants! 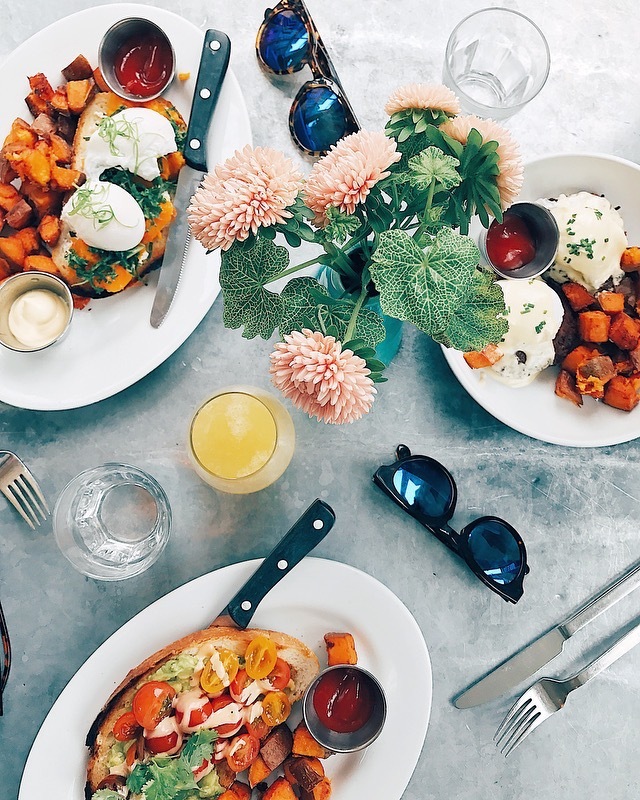 This restaurant is an Instagrammer's HEAVEN. I'm pretty sure every aspect of this restaurant and its menu were designed with the question of "how well will this photograph?" in mind. This West Village restaurant is wildly overpriced. The cheapest entree on the menu is the avocado toast and it's $18 (thankfully that's what I was planning to get in the first place). The food is decent, but nothing special. The main reason I'm including this restaurant on my list is because it's just so darned aesthetically beautiful. Last but certainly not least is my favorite restaurant of the summer. Root and Bone is a trendy, southern comfort food restaurant located in Alphabet City on the Lower East Side. I am from the south, but y'all, this food is better than the majority of "authentic" southern food I've had. I visited for brunch recently and tried out the "Fried Chicken n' Waffles Sandwich" with a side of fried eggs and pork belly bacon. I also tried the "Waffle Benedict," which the person I was with got. For an app, we got "Grandma Daisy's Angel Biscuits." Every single thing I tasted at that restaurant wasn't anything short of mind-blowingly delicious. Have any recommendations of NYC restaurants I should go to? Also, I think I want to start making an new edition of this post at the end of every season –would y'all like to see that? Leave a comment below or contact me on one of my social media platforms! tacombi looks so cute! love these! These foods are so delicious which you have selected to eat, It will be new for me but It will be good for me to know the place to eat. You can find the top Places To Visit In Nyc at govisitnyc.